1.At the top of the gyro has four lights and a red laser in the side, there will be colourful lights and laser emission when the rotation. 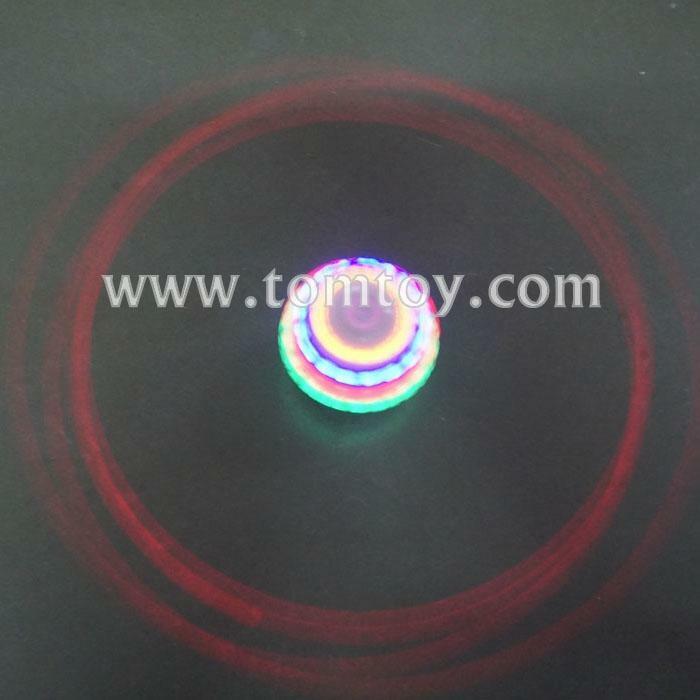 2.Gyro is a traditional elements with modern technology integration of a fashion toy, which combines fitness, entertainment, sports in one, not subject to restrictions of space and time, indoor, outdoor and so can play, cheerful gyro rotation on the ground and emits music, gyro lights will not stop transformation, as well as a red laser line, especially beautiful around the gyro. 3.Play it at night is more unique style, neon flashing, Ambilight, is a pleasing Scenic Views. 5.It can be enhanced the relationship between children and parents while they are playing the games together.